Thank you for stopping by and sharing my world. Enjoy, leave a comment if you desire and return at your convenience. Hello and happy Friday, more cool weather and rain in today's forecast. So what's on your agenda for the weekend? Not sure if we will make the football game this evening if it's raining but we'll go to the movies tomorrow morning. 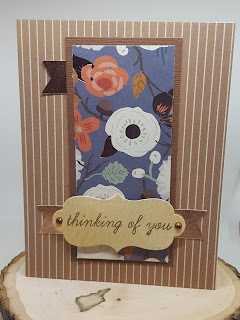 Today I am sharing a card that I put together using sketch inspiration from Atlantic Hearts Sketch Challenge #89, more paper from the Craft Smith Pumpkin Spice pad, the Spellbinders tag die set, a few gems and a stamped sentiment. Card done and ready to go postal! Thank you for your visit, wishing you and yours a wonderful weekend. So beautiful and as always a great selections of papers. I love the layout of this card. Thank you for playing along at Atlantic Hearts Sketch Challenge#289 this week. Such pretty florals and a great use of the sketch! Thanks for playing along at AHSC. Super cute take on our sketch. I love the floral combined with the stripes and the colours are great! Thanks for playing along with Atlantic Hearts Sketch Challenge (AHSC). Sweet card, Treva! 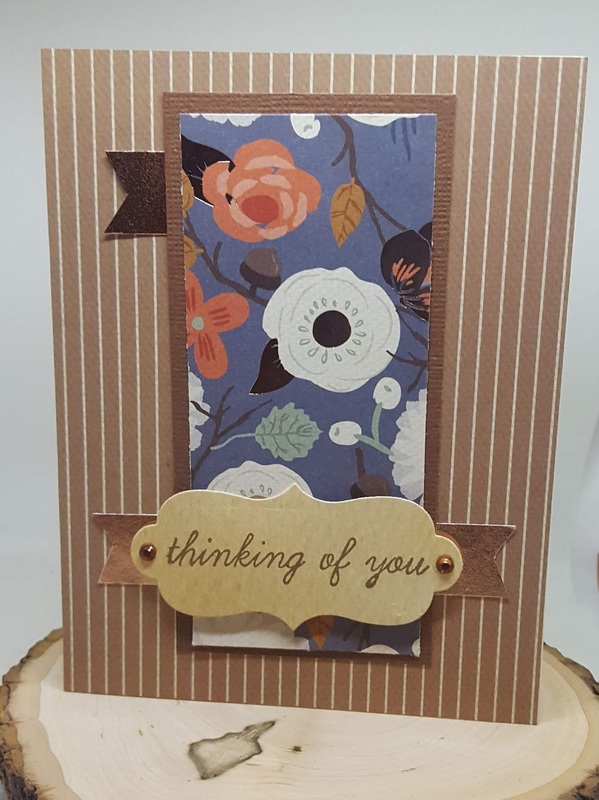 I love the colors and patterns in the papers you chose and how those warm neutrals really highlight the patterned paper. Thanks for sharing with us this week at Atlantic Hearts Sketch Challenge. a mother, daughter, sister, wife, aunt, and strong advocate for children. I have two children an adult son and a 15 year old Princess. I love to scrapbook and make cards. I've been papercrafting seriously for over ten years; I'm learning new things everyday.